Fast Company recently named its 2010 Masters of Design, and we were super pumped to find one of our favorites made their short list: Spanish furniture and lighting designer Patricia Urquiola. 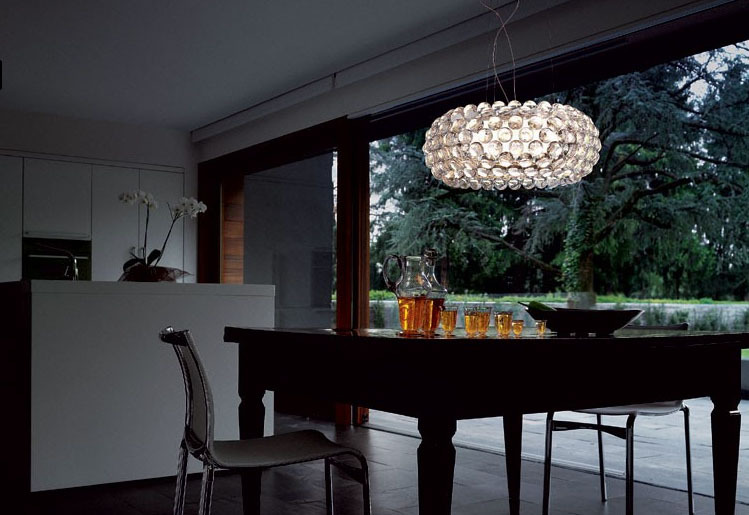 One of her trademark designs, the Caboche Collection by Foscarini, is my dream lighting fixture. The fantasy world I often live has a whole line of them hanging from the ceiling. This light is one of those often-imitate-never-duplicated designs—a big bowl of sparkle and visual texture. It reminds me of a giant, beautiful piece of jewelry. Designed in 2007, this fixture truly showcases the innovation that Urquiola always delivers. 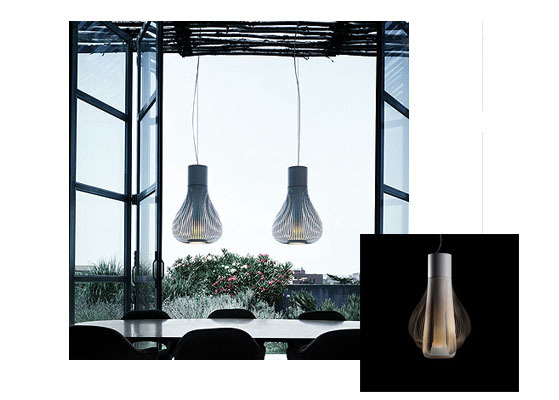 It’s engineered with adjustable louvers to change the shape and light diffusion, and the shape on its own—whether made slim or stout—creates a stunning silhouette. While made from Kartell’s signature polycarbonate, the wavy effect that Urquiola added to the Frilly Chair almost makes it look like pleated fabric. It’s light and feminine, and it seems to me that any of these poppy colors would brighten any bad day. It’s suitable for outdoor use as well, and would go quite nicely with sunshine and a mojito. No need to leave the personal accessory market longing for that brilliant design, right? I’d hate to think that in the age of cell phones and technology-that-can-go-anywhere that we sacrifice these conventional time-telling devices—they’re such a great addition to personal style, and this baby is no exception. 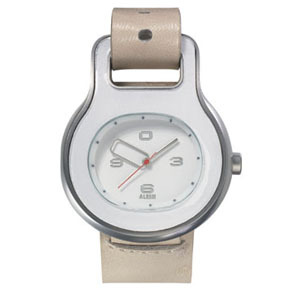 Urquiola’s Alessi watch has a very contemporary face and hands, with a more traditional band in leather with a thread-through design. Time keeps on slippin’, slippin’, slippin’…. Check out the rest of Fast Company’s Masters of Design here. Sarah is a Brand Marketing Manager for YDesign Group brands. A writer and editor at heart, she loves storytelling in all its forms and is a copious consumer of the Internet (for better or worse). In design, she finds inspiration in simplicity, warmth and all things Danish.